According to a National Association of Realtors study, almost 90% of home buyers purchase their home through a real estate agent. So how do you reach out to these customers? By knowing exactly how to market to them. Marketing is a crucial part of your day-to-day operations. You’re not just marketing your properties. You’re marketing your community. You’re also marketing yourself and your services. Real estate marketing is as much a part of your job as selling your next home. In fact, it’s rare that you can have success in one without the other. We tracked down some real estate experts and asked for their advice on how they do real estate marketing like a pro. Take their guidance to heart and you’ll be well on your way to accomplishing your sales goals. The first step in successful real estate marketing is identifying who you’re marketing to. Are you marketing to sellers? Maybe first-time home buyers? Perhaps you’re targeting someone who just wants to rent a place right now. Once you figure out who you’re selling to, you’ll have a much better understanding of who to target with your marketing strategy. Inbound marketing and sales developers HubSpot polled top real estate agents from around the U.S. and came up with nine great marketing ideas. Among them: identifying your target customer. When you’re creating customer personas, there are a number of things you should take into consideration. Demographics, patterns of behavior, motives, and goals. The more information you can get, the more you’ll know about your ideal customer—and the better you’ll serve their needs. You want to know more about who they are both personally and professionally. There are a lot of typical persona questions that are helpful to ask, but keep in mind that the questions can be different for each business. As a real estate marketer, you’re likely to want to answer these questions for both home buyers and sellers. Both parties will be asking themselves why they should choose your services over a competitor. It’s your job to know them as well as you can so you can convince them you’re their best option. Also, look at your past sales for clues. This is particularly valuable information you already have at your disposal. What does that data tell you about your core customer base? These are your customers. Market to them. Practically every real estate marketing expert will tell you to hire a professional when it comes to photography and writing. If you skimp in these areas to save a buck, it’ll cost you in the long run. The way you compose your listing and the way you present it visually make ALL the difference. Homes with high-quality photos in their listing sell 32% faster. Homes that feature more photos sell faster. If you have a listing with one photo, it’s likely to spend an average of 70 days on the market. If you have a listing with 20 photos, you can cut that number of days in half. For luxury homes ($200,000 to $1M), high-quality photos lead to a $3,000-$11,000 increase in sales. In addition to “regular” photography, drone photography is fast becoming a popular method for showing off a property. A study of drones in real estate revealed that over 80% of home sellers prefer to work with an agent that uses drones, especially those with more than two acres of land. If you want to give potential buyers a bird’s-eye examination of a property, provide professional drone photography and give them the ultimate overview. This is great advice from speaker, author, and market researcher Pamela N. Danziger. Pamela has been providing expert advice to high-end real estate marketers since 1992—specifically on how to sell million-dollar luxury homes. The foundation of her marketing strategy hinges on effective storytelling. 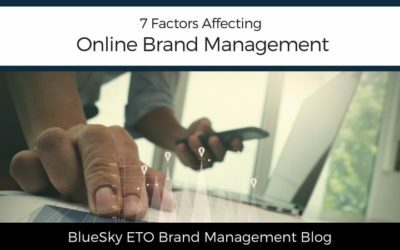 Oftentimes, real estate agents and marketers think they can simply take care of the writing themselves. Depending upon the background of each agent, that might work. Oftentimes, it does not. Whether you’re doing the writing yourself or consulting with a professional writer, consider the words used. Zillow reports that if you add the word “luxurious” to your listing, it results in just over an 8% increase in the for-sale price on lower-tier homes. If you add the word “captivating” to higher-tier homes, you’ll see a 6.5% increase. Other words like “impeccable,” “stainless,” and “landscaped” were also proven effective in real estate listings. With so much emphasis on technology, websites, and social media, it’s easy to forget about one of the most important aspects of real estate marketing: making a personal connection with a potential buyer. Kelly Eckenrode is a realtor with Berkshire Hathaway HomeServices in Cranberry Township, PA. She is one such believer. It should go without saying that you want to put your best foot forward when it comes to your property’s presentation. All aspects need to be, in a word, impeccable. Brian Davis is the co-founder and director of education at SparkRental, a landlord app that helps automate rentals. He emphasizes cleanliness and offers some advice on presentation when you’re showing a home. A general rule of thumb is to arrive early to open the blinds, shades, curtains, and even a few windows to allow some fresh air to circulate throughout the house. Natural light will make the property feel larger, brighter, and airier. Stale air is a major turnoff for prospects. As long as you’re freshening your property, sweeten your own personality, too. If a seller has a listing that’s been on the market for more than 30 days, it has, in real estate industry terms, gone stale. The criteria? Very few if any showings. And if you do have a showing, the feedback is typically negative. It’s more work than your client is willing to take on. So, what now? Dawn Bierker, associate broker, owner of RE/MAX 360, and team lead for the Bierker Group in Pittsburgh, PA, has the answer. Repositioning the property in the market allows you to get more eyes on that property and hopefully open the door to more buyers. That involves restructuring the price and allowing people to visit your property on their terms—meaning when it’s convenient for them. Karim Wahba, principal at Wahba Group Real Estate, suggests pricing under market value. If you thought direct mail marketing was a thing of the past, guess again. The U.S. Postal Service sent almost 80-billion pieces of marketing mail in 2018. Direct mail response rates have been steadily rising for the past 10 years. There are plenty of direct mail marketing statistics that may surprise you, but they don’t surprise real estate marketing pro and direct mail advocate Tania Matthews. Tania is the owner of the Tania Matthews Team, a Keller Williams agency in Clermont, FL. Her team has a combined 40 years of real estate experience, and they’ve learned to rely on direct mail for many of their marketing needs. One exception is with their “Just Listed” and “Just Sold” postcards. The Tania Matthews Team also utilizes direct mail to find properties for buyers. It’s helpful if you adopt at least one of the aforementioned suggestions, but ideally, you’ll combine them all for a full-fledged real estate marketing mix that will give you peace of mind that you’ve covered all your bases. Judi Gabler is a real estate broker and owner near Albany, NY. As a real estate marketing expert, she has been consistently honored for her top-producer status. She launched her own real estate firm in 2017 and has left no stone unturned when it comes to her team’s marketing mix. Judi’s team uses drone photography if a house has a particularly attractive property. Then she broadcasts those shots, a teaser video, and accompanying remarks about the listing through Facebook- and Instagram-boosted ad campaigns. They also use SEO keywords on their property websites, online ads for local news vendors, and other avenues for each listing. How Can You Do Real Estate Marketing Like a Pro? If you want to do real estate marketing like a pro, you need the right tools. As a real estate marketing manager, you can improve your marketing ROI, increase productivity, maintain brand compliance, and enhance your local marketing efforts. Does it sound too good to be true? 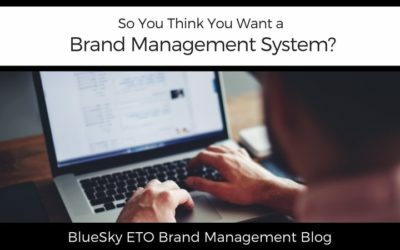 BlueSky ETO’s brand management software and automated marketing campaigns can improve your marketing efficiency. We engineer our brand management solutions to order for your particular needs, no matter how big or small your business. We’d like to help you with a free brand management consultation. Contact us today and let’s get started. These are all essentially must notes. Navigating to this type of industry aint easy. So much to learn from this. These are really helpful tips, yes I know we sold our old house 2 years ago and bought new house so I know all these are important. I’m not realtor and I’m not interested in becoming one, but this is such a comprehensive guide! I’m sending it to my realtor friends! I absolutely loved the tips. From my experience with home buyers, I’ve come to understand that with a good photographer and writer who can deeply tell a story of the home, you’ll be a lucky real estate marketer. These days of the online age, one just has to leverage these. This post is extremely informative and very interesting! I would recommend anyone looking to get into real estate or buying and selling homes to read this! These are great tips!! Hiring a professional photographer makes a big difference! Doing everything as professional as possible is key. Everyone wants someone who is confident and makes it a smooth experience. These are valuable tips to have handy. You are right; having a professional photographer and writer is a high selling point. The real estate agent that we worked with in buying our house was excellent. He was so knowledgeable in many things and did many of the things that you mentioned. If we ever moved again, we would work with him again. P.S. I love open houses and it seems like this town doesn’t do them, and that’s a shame. When we were looking, are agent would call the seller to open up their house and many times the houses weren’t put together nicely because they were being lived in and some of their messes were distracting from the house. At least open houses give the owner time to clean up for the showing. This is very helpful info! My mom just got her license and could use these tips. This is very very interesting. I’ve worked in RE a bit, i love it. Great tips. I’ll definitely pass along to people I know who are in the market to sell soon. Seems helpful during the stressful time to sell. We haven’t had to sell a home yet, but we’ve rented out our home plenty of times and I have to say having quality professional photographs taken of our home helped us to rent out quickly to quality renters consistently. I also love the idea of telling the story of your home – great tip! These sound like some great tips for those who are looking to sell houses. It is interesting how they sell in other countries. I would have liked to have these good qualities when I sold my apartment but now, alas, it’s gone! This is great information for any real estate agent! Would love to pass this valuable information along. Thank you! This is helpful to those who want to sell houses. We haven’t had to do it yet. I hope we won’t, but we’re a military family, so you never know!